Finance Minister Winston Jordan on Monday ruled out Guyana taking advances from oil revenues to help stimulate the economy, warning that to do so would be fraught with danger in a country where there is already sufficient money in the treasury but limited human resources to spend. “It’s no sense going taking advance on potential revenues to be had post 2020 when you can’t spend it in the open and transparent manner that it should be done,” he said when asked by Demerara Waves Online News. Jordan said stimulation of the economy partly has to do with how much government can spend. “We have the money voted. We have 250 billion dollars voted in this year’s budget. We had a whole set voted last year. Lots of it came back,” he said. The Finance Minister noted that it is risky taking advances on projected revenues, especially due to the volatility of the international oil market. “You might be predicting that you might get X amount today and, therefore, the revenues that you will be able to get is ‘so much’ and then all of a sudden…That is a severe risk you would be taking and the country could be saddled overnight in debts that it can’t pay and eventually be declared bankrupt,” he said. Jordan restated that Guyana does not have the human capacity to spend the huge amounts of money that are expected to flow from oil production that ExxonMobil is scheduled to begin in another three years. “If you have all this money coming in for all these demands for projects and so on’ you can expect what will happen. The system will collapse- sudden influx of money, sudden demand for projects, sudden demand for other things so we have to fix the system now,” he said. Jordan said part of the solution to fix the human resource capacity is to focus on the key government ministries with a heavy spending capacity. “…bring in personnel, reallocate personnel to concentrate on the areas where you are not getting much movement,” he said. The Guyana government has publicly committed to grant ExxonMobil its production license and relevant regulatory approvals this month to allow the company to make its crucial Final Investment Decision (FID). 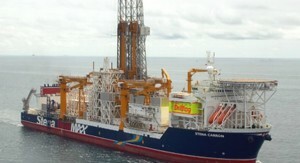 ExxonMobil’s total investment in identifying and developing the Liza Field offshore Guyana to the point of producing 100,000 barrels daily is estimated at US$5 billion.